I am going to try to address the following questions that came up in class: Why isn’t this assessment used more often? Would results change over a lifetime? How come this is not administered in High Schools? How accurate is it? Very often popularity boils down to the name you pick. Who is Paul David Hewson? Have you ever listened to Lead Balllon? For whatever reason, when I hear “Myers Briggs” my brain makes the connection to “Higgs Boson”… I probably store the two close by inside my head. I do not know much about marketing and branding, but I am positive the assessment would be more popular with a catchy shorter name like “Briggs Indicator”. The same can be said about the results. 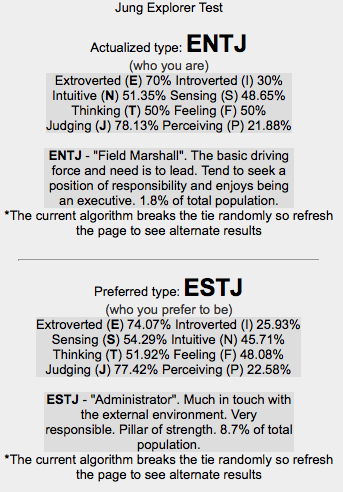 There are 16 possible MBTI results but each is a string of four letters. A four letter code that can only be translated by someone with prior knowledge of the assessment. Looking at both links, the first is definitely more comprehensive. The second is meant to be something you share with friends. As far as I know I am not a 11 year old girl, but all my friends laughed when I sent the Snapchat. 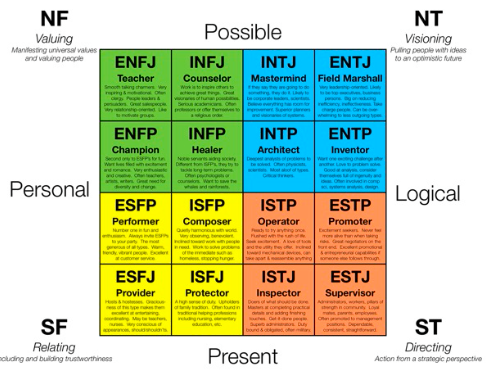 Saturation may have contributed by the idea (shared by some) that the MBTI is nothing more than pseudo science. Something akin to the Zodiac or Tarot cards. Contrary to what we were told in class, I definitely think MBTI results can change over time. I dated my MBTI test to “January 22, 2014”. If all goes well, in ten years I am going to link my 2024 post to this page and reflect on the change (or lack thereof). Last December I visited friends overseas. There is NO doubt in my mind that if I were to take the test 17 years ago, my results would be very different. I do not think Jung had access to information and data on immigration back when the ground work was laid for the MBTI. Coming to Canada has changed who I am, what I strive to be and my general preferences. Moving to a new country is a humbling experience. When there is an initial language barrier extroverts become introverts and introverts even more so. A new environment can also cause people to move from judging to perceiving or the other way around. It can affect thoughts and feelings… perhaps leaving only the sensing/intuition component unchanged. Running a search on “MBIT and immigration” led me nowhere but perhaps it is something worth exploring. I will leave that to a professional. Perhaps one day future me will put down some insights on the topic, since I am definitely going to incorporate psychometric analysis to my management toolbox. In class we were asked why the MBTI is not administered in High Schools. I had just raised my hand to answer a different question so I did not offer my answer. I only took one year of High School in Canada, so to me the answer is very simple. From an educational standpoint I think it is best to shy away from labelling teenagers. Even if the test is 80% accurate (more on that later), wrong direction will be given to 1 in 5 students. Let them find for themselves who they are, what they believe and what they stand for. Moreover, schools on North America already show a high level of student separation. Before coming to Canada I went to private school and all students wore uniforms… we were all pretty much treated the same and there were no groups or cliques. I had all kinds of friends and did not care at all about their race, background and social status. My jaw dropped when I came to Canada and realized that High School in Dawson’s Creek is real. 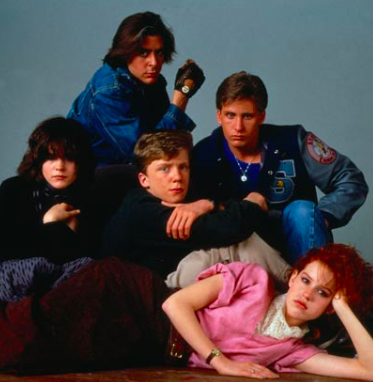 There is a clear division and hierarchy between groups of jocks, “nerds”, artsy students, ESL… and on top of that here we had the Russians, the Asians, the Portuguese… and so on. When I studied in Europe and met students from all over the world, I realized that this separation is more common in the United States and Canada. I really want to say it does not happen anywhere else. However, I did not meet people from every country. From where I stand, MBTI in High Schools would be a terrible idea because students and their preferences are not necessarily their own. It seems to me that in North America fitting in is part of what every student wants. That alone would affect the accuracy of the assessment. That leads me to my last point: accuracy. I think it is a good thing the MBTI is not super popular. Out of 16 students only 4 were previously assessed. Anyone with prior knowledge can skew the results. 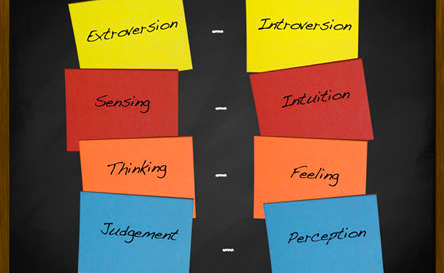 When it comes to the MBTI, I think only the first assessment will reveal who you are. After that, it shows what you wish you were. Then again… it becomes a matter of being honest with yourself. 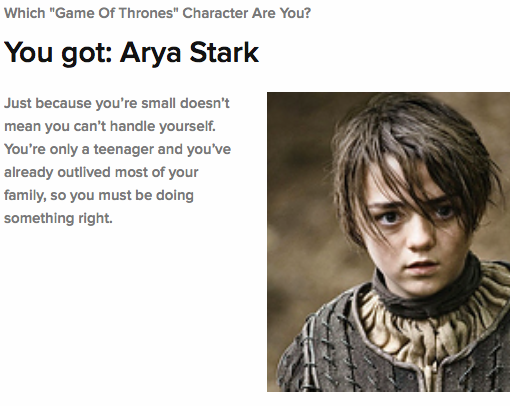 For example, when I told my wife about the Game of Thrones quiz, she told me she doesn’t need to take the test because she knows who she is: Daenerys Targaryen, her favourite character. She took the test with that in mind and that was the answer in the end. 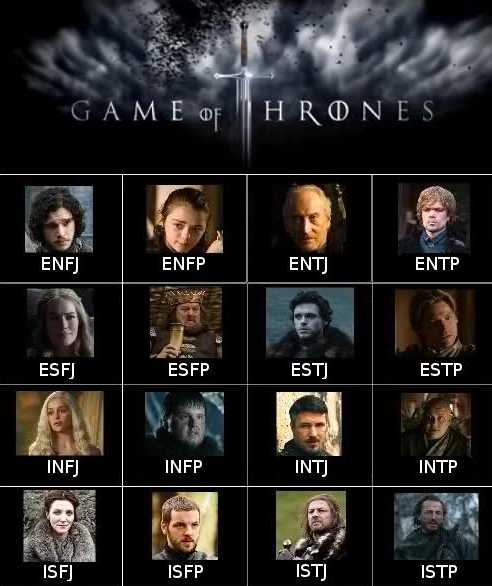 When I “MBTI” my team I am going to make it a blind assessment. I am not going to say what it is or why we are doing it. In my opinion that is the only way to go. Since earlier I criticized the name, I am going to give it a different name. Later on I will let them know it is the “Briggs-Myers Type Indicator Assessment”. Obviously, they later changed the name of the band. « The Golden Circle. Why do we work?